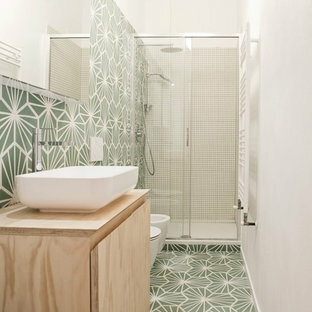 A beautiful bright sunny bathroom remodel by Smith & Sons Brisbane City. 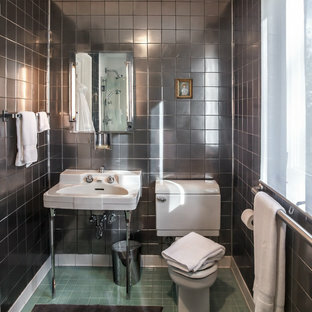 The new bathroom features matte black fittings and fixtures, pendant lights and floor to ceiling tiles. 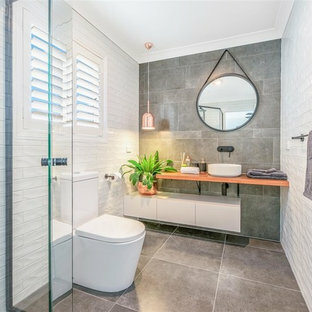 The timber bathroom benchtop features beautiful rich timber giving this bathroom perfect balance and a touch of 'rustic' feel. 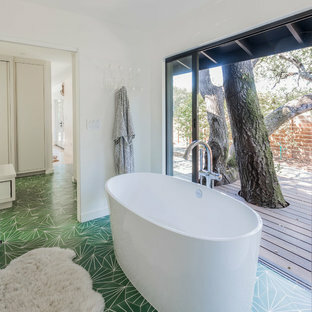 By Custom Kitchens by John Wilkins, Inc. 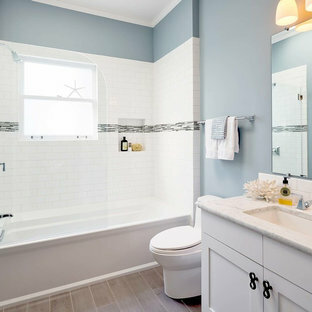 The layout of this bathroom was reconfigured by locating the new tub on the rear wall, and putting the toilet on the left of the vanity. 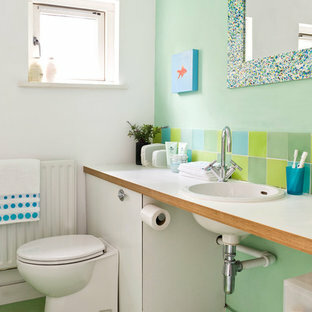 The wall on the left of the existing vanity was taken out. Il pavimento è, e deve essere, anche il gioco di materie: nella loro successione, deve istituire “sequenze” di materie e così di colore, come di dimensioni e di forme: il pavimento è un “finito” fantastico e preciso, è una progressione o successione. Nei abbiamo creato pattern geometrici usando le cementine esagonali. 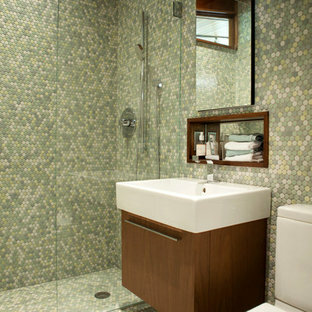 By Jonathan Caron Construction, Inc. 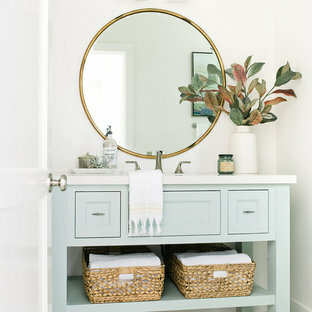 This vanity has feet giving it more of a freestanding furniture look. The grey finish is currently very popular. The weathered look of the cabinets matches the rustic feel of the block exterior wall and exposed lentel. 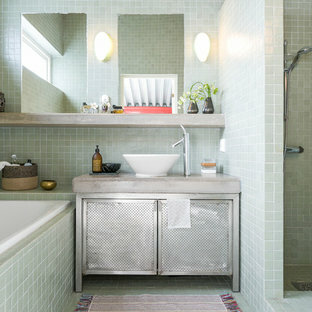 What do you think of the yellow walls and green floor tile. Fun!